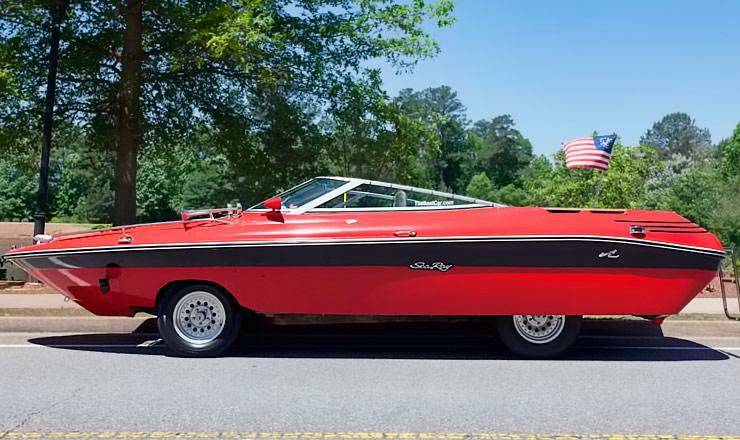 Atlanta native Mark Ray designed and built his dream motor after his wife Robyn bet him that he could not do it. Robyn, his wife, had been diagnosed with breast cancer and felt that Mark needed a project to take his mind from being her full-time carer. Here is his story about how the Boatcar came to be. 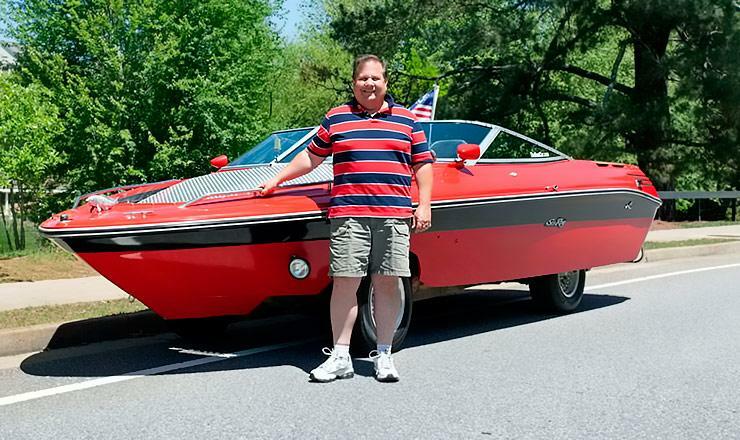 “My wife had made a bet with me that I couldn’t make a Boatcar, but I proved her wrong. I was determined to make my dream a reality so the first thing I did was purchase a GMC Jimmy with a 4.3 V6. Then I stripped the entire body except for the chassis, the seats, and the motor. I then found a 18.5 Sea Ray bow rider that was ready for the landfill. She was stripped of her motor, out drive, and her interior including the floor. The result? 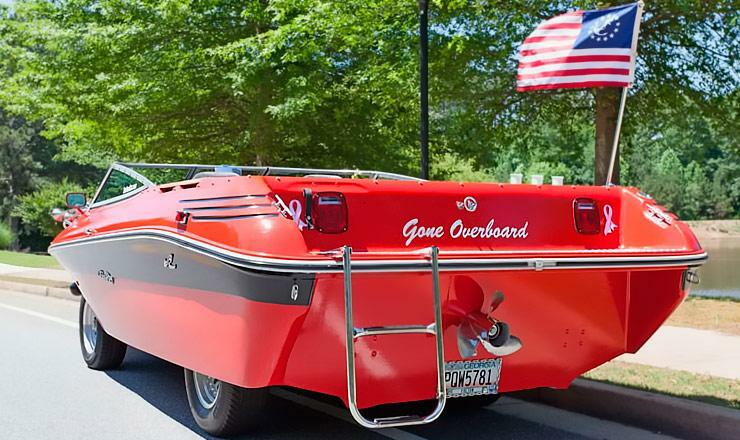 A street-legal boat car that makes plenty of waves while cruising the streets. It’s an oddly shaped car but it’s cool. However, it’s just a GMC Jimmy with an old boat as the top. Mark says it’s not practical, but it sure looks like fun to drive. 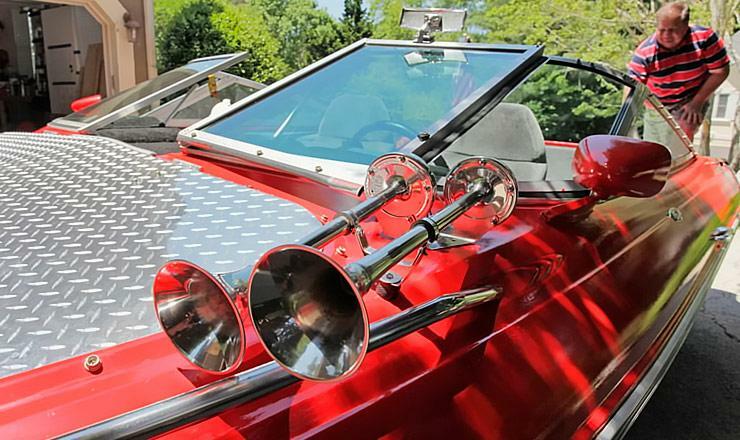 Anyway you look at it, it’s certainly a unique car, and quite the bargain when you consider it only cost $10,000 to build. Click here if you want to see a homemade real amphibious vehicle.